We love him like a table! 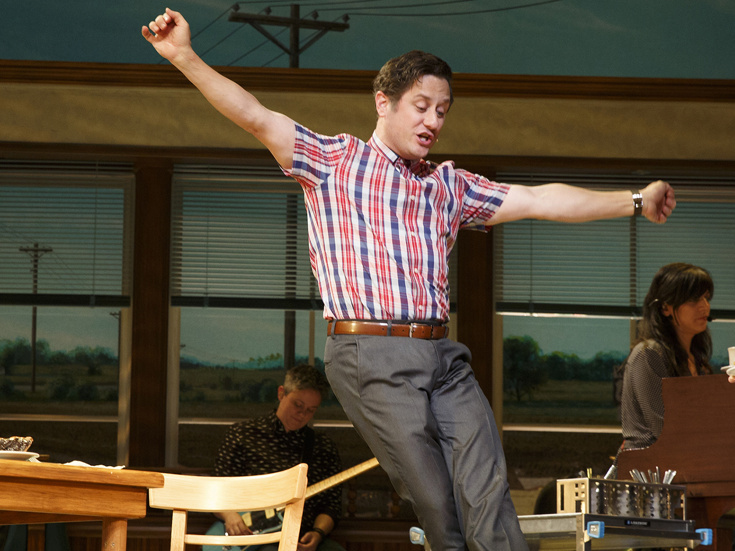 Christopher Fitzgerald, Tony-nominated original cast member of Waitress, will return to the role of Ogie in the Broadway production beginning on December 11. Fitzgerald will replace current cast member Alex Wyse, who will play his final performance on December 9. Fitzgerald earned his third Tony nomination for his celebrated turn in Waitress. His other Broadway credits include Tony-nommed turns in Finian's Rainbow and Young Frankenstein as well as performances in Wicked, An Act of God, The Merchant of Venice, Amour and Chicago. The current cast of Waitress includes Nicolette Robinson as Jenna, Drew Gehling as Dr. Pomatter, Lenne Klingaman as Dawn, NaTasha Yvette Williams as Becky, Benny Elledge as Cal, Ben Thompson as Earl and June Squibb as Old Josie. Waitress features a book by Jessie Nelson, a score by Sara Bareilles, direction by Diane Paulus, choreography by Lorin Latarro and music supervision by Nadia DiGiallonardo.